If you have a 4K-capable camera or smartphone, it makes a lot of sense to shoot all your videos in 4K quality. The added resolution gives you more options when editing your footage, and it’ll still look great in years when 1080p is old news. 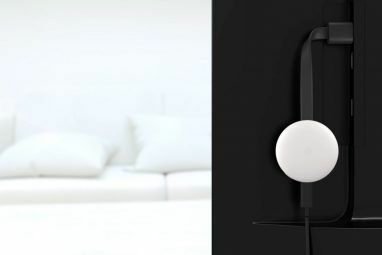 But you might not be able to edit high-resolution video footage on your current hardware. Even brand-new mid-range laptops can still struggle to play 4K files, let alone edit and grade. That said, with a bit of preparation, the right video editor, and offline video editing, you’ll be able to edit 4K footage on nearly any machine. Here’s what you need to know. What Is Offline Video Editing? 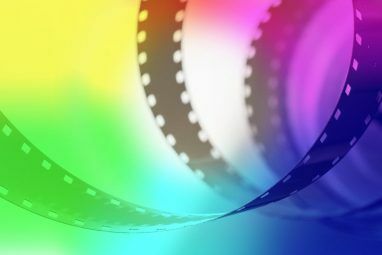 Proxy editing, also known as offline editing, is a technique used in video editing to make large files more manageable. You essentially create low-quality copies of your high-quality raw footage, then use those low-quality “proxy files” during the editing process. When you’re ready to export, you replace the proxy files with their corresponding raw files. If your computer is old, mid-tier, or designed purely for web browsing and spreadsheets, offline video editing can be a game changer. Some video editors are particularly resource-intensive, requiring a lot of RAM and a healthy scratch disk. Even machines that don’t struggle with 4K playback can choke under load when editing multiple files at once. Color grading your footage, or applying post-processing effects like warp stabilization, can also significantly impact performance. Proxy files aren’t the same as intermediates, which is another term you’ll see mentioned in many offline video editing workflow tutorials. Intermediates sit somewhere between low-quality proxy media and original quality raw files. We won’t cover intermediates in this article, since they aren’t relevant in non-professional video workflows. Offline video editing can make a world of difference, but here’s what you should know before you get started. The obvious benefit to offline video editing is a massive performance boost. Since it’s up to you how small you go with your proxy files, you can choose any resolution, codec, and bitrate that works for your particular hardware setup. The resulting proxy files will be considerably smaller than raw footage. This is particularly useful if you’re using a laptop with reduced storage capacity, as it relieves the need to carry around portable drives. As long as the proxy file quality is good enough to see what you’re doing, you can make do with tiny files at sub-HD resolutions. And if you ever need to edit videos while on battery power, you’ll find that these smaller proxy files will consume less energy since your laptop doesn’t have to work as hard. But there are downsides to the workflow too, notably the time involved in the transcoding process. Before starting with an edit, you need to transcode your files to an adequate size. Depending on how long your video is, and how much footage you’re working with, this can take a while. It’s also best to edit offline in a non-linear editor (NLE) that automates the process. This includes big names like Adobe Premiere Pro and Apple’s Final Cut Pro X. Many free or cheap video editors have yet to support offline video editing in their workflows. You can manually create these files, but careful labeling and neat organization is essential. Since you’ll need to manually point your video editor at the raw footage in the final stages of your edit, poor organization can hinder the process or throw your whole edit out the window. Video quality (for the duration of the edit) will take a tumble too, and you won’t see crispy 4K footage while working in your editor. It’s also important to mention that if you have a high-performance laptop or recent desktop, you might not need to create proxy files at all. In this instance, offline video editing will slow down your workflow for virtually no gain. Some video editing software already supports offline video editing out of the box. This vastly speeds up the workflow of transcoding raw footage, working with proxy files, and swapping back to full-resolution footage when exporting. 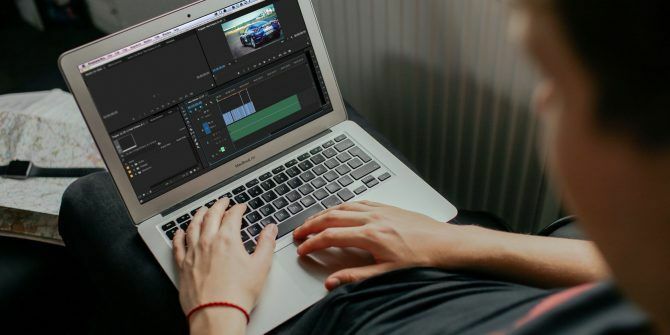 The creation of proxy files is handled in the initial Ingest procedure for importing footage into Adobe’s highly capable industry-standard video editor 10 Tips to Edit Videos Faster in Adobe Premiere Pro 10 Tips to Edit Videos Faster in Adobe Premiere Pro Video editing can be hard work. Thankfully, there are a number of tips and tricks you can use to edit video faster using Adobe Premiere Pro. Read More . Apple’s high-end video editor (and its previous version) has two options for offline video editing. You can create “optimized media” which uses ProRes 422, or create “proxy media” which uses the ProRes 422 Proxy codec. Both are optimized especially for use on Apple hardware. 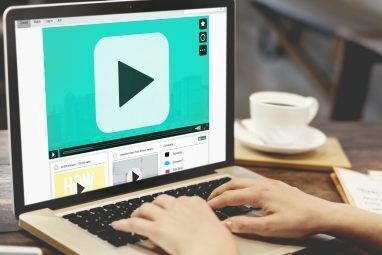 One of our top free Mac video editors The 8 Best Free Video Editors for Mac The 8 Best Free Video Editors for Mac Need to edit video on a budget? These free Mac video editors let you perform essential video editing tasks at no cost. Read More , Da Vinci Resolve has its own internal workflow for offline editing. Simply right-click a file and select Generate Optimized Media. The editor will favor optimized files over raw footage, unless you specify otherwise under the app’s preferences. Previously published by Sony, Vegas Pro has had an internal proxy workflow for years. First you need to import your footage into the project, then right-click each file and choose Create Video Proxy. You can then change the quality in the Preview Quality dropdown to favor lower-resolution files. The only truly free video editor The Best Free Video Editors for Windows The Best Free Video Editors for Windows Everyone takes videos these days. Yet powerful free video editors remain rare. We present the absolute best free video editors available for Windows. Read More on this list, Blender has a surprisingly good proxy and offline media workflow. You can use the Strip > Rebuild Proxy and Timecode Indices option to create smaller files in a location of your choosing, as described in the Blender manual. If you’re using a video editor that doesn’t have support for an internal proxy workflow (i.e. the editor won’t create the files for you), you can do it manually instead. You must maintain a careful organizational structure, with proper labeling that will allow you to locate the right files when the time comes. Handbrake (Windows, Mac, Windows, Linux): Open source, completely free, with support for a wide range of formats. FFmpeg (Windows, Mac, Linux): Open source, free project that favors a command line approach to converting, decoding, transcoding, and more for a wide range of formats. With your files converted to a more manageable size and resolution, you can import them into your video editor. Complete your edit as normal, then before exporting, swap out your proxy files with the original high-resolution ones. One easy way of achieving this is to create a folder for your project, then create two more folders inside titled Raw and Proxy. Put original files into the Raw folder, and the identically-named smaller transcoded files into the Proxy folder. Edit your video together using the footage in the Proxy folder. Complete the edit, save the file, and close your editor. Now switch the two folders around, renaming Proxy to Raw and vice-versa. Open your editor and load your project, then complete the export process as you normally would. Using this technique of editing videos using proxy files, you can edit gorgeous 4K footage on seriously underpowered machines. But there’s nothing quite like editing video at its native resolution. If the workflow gets you down, remember that a 4K editing rig doesn’t have to break the bank. For less than $1,000, you can build your own 4K video-editing machine The Best Video Editing 4K PC Build for Under $1,000 The Best Video Editing 4K PC Build for Under $1,000 Looking for the best PC build for 4K editing (or efficient gaming)? We've rounded up a complete PC build for under $1,000! Read More that will reduce your reliance on optimized proxy media. Explore more about: 4K, Video Editing, Video Editor.